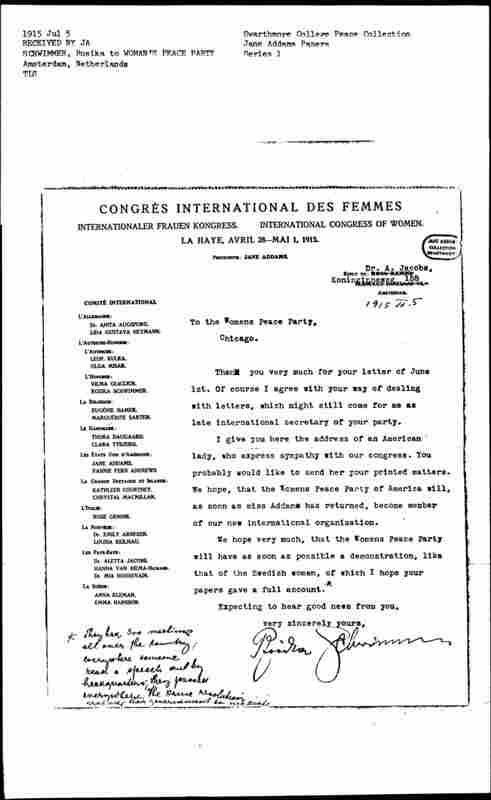 Schwimmer encloses contact information for an American woman interested in peace and asks the Woman's Peace Party to join the new international organization being formed. 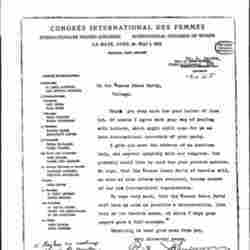 The contact information for the American lady was not found. 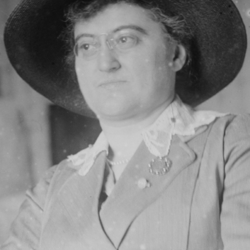 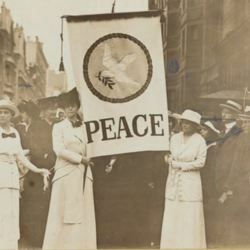 Schwimmer, Rosika, “Rosika Schwimmer to Woman's Peace Party, July 5, 1915,” Jane Addams Digital Edition, accessed April 22, 2019, https://digital.janeaddams.ramapo.edu/items/show/10626.